It is always Dr. Nick’s preference to treat a patient when he or she is awake and communicative. However, situations arise in which it is more ideal, for the sake of the child, to treat him or her while under the care of an anesthesiologist utilizing general anesthesia. This is a last resort option and will always be treated as such. This decision is made carefully and only after consideration and discussion with the child’s parents. For your convenience, we offer two options in providing this service. One option is to perform the treatment in the office with a licensed anesthesiologist. Alternatively, because Dr. Nick is credentialed at the Children's Hospital the treatment can also be provided at a Children’s Hospital location with a licensed anesthesiologist. Both are wonderful options and your child will be under the care of an incredibly competent anesthesiologist regardless of your decision. 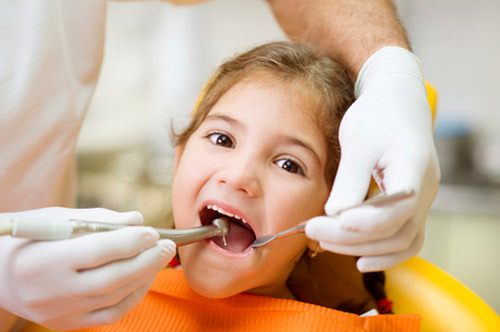 We at Lone Tree Pediatric Dentistry will work with you to determine which option is more cost-effective and suitable for your child and family.